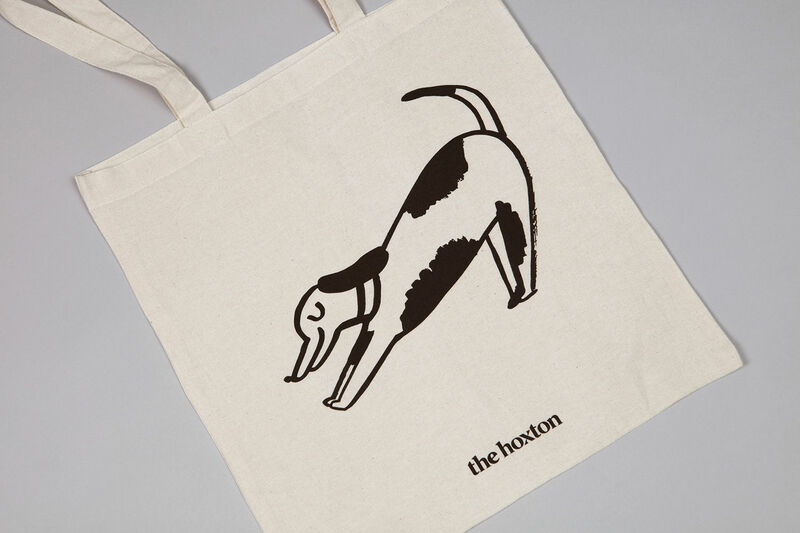 Illustrator Alice Bowsher and Ennismore Design Studio team up with The Hoxton hotel to give dogs the five 'bark' treatment. 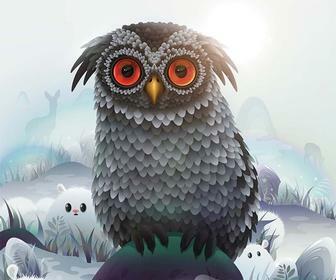 Illustrator Alice Bowsher recently caught our eye branding the business debit cards offered by account app Anna Money with cute cats; same cards caught our ears as they genuinely 'miaow' each time you make a payment. 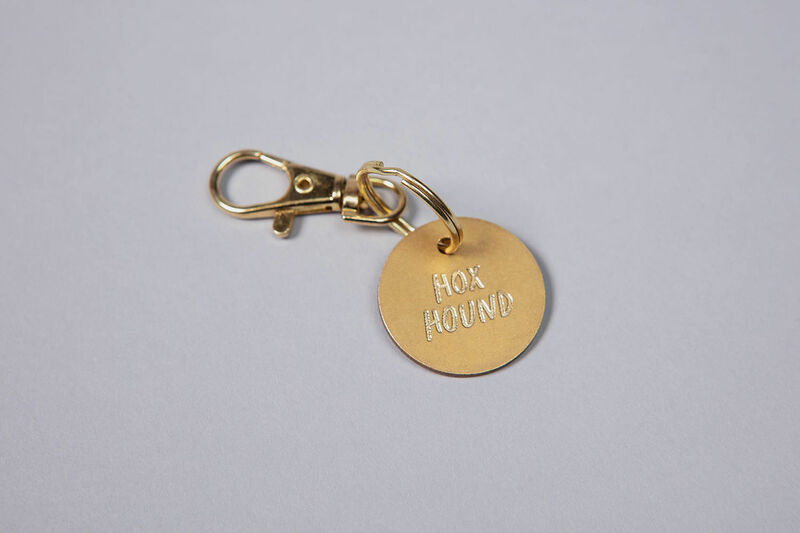 Now the turncoat has betrayed cat people everywhere by doing another branding project, this time with dogs. 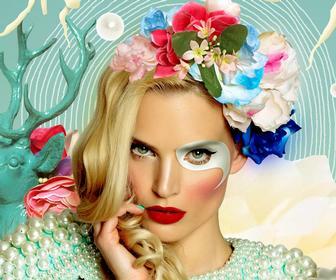 Seriously Alice, where does your loyalty lie? 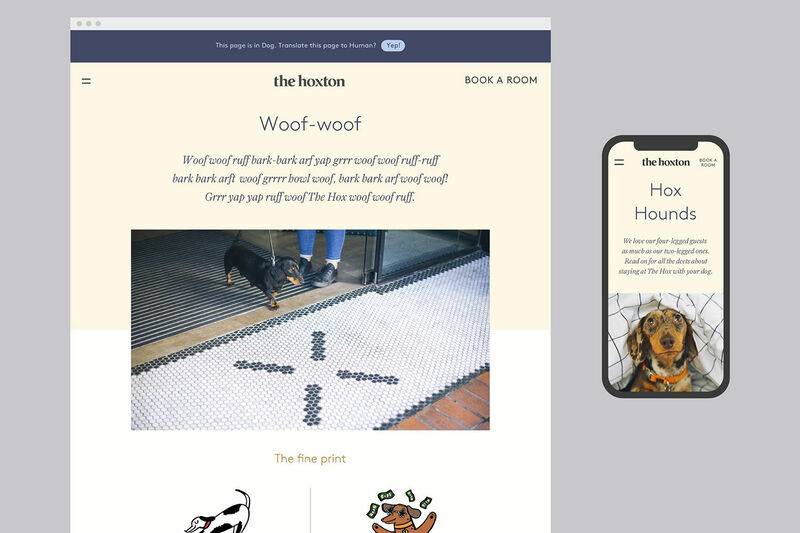 The cute canine characters were created for promo materials celebrating trendy London hotel chain The Hoxton going 'dog friendly' for the first time. You can now keep your pets with you in rooms, where you'll find an Alice-illustrated Mutt Manual to read. 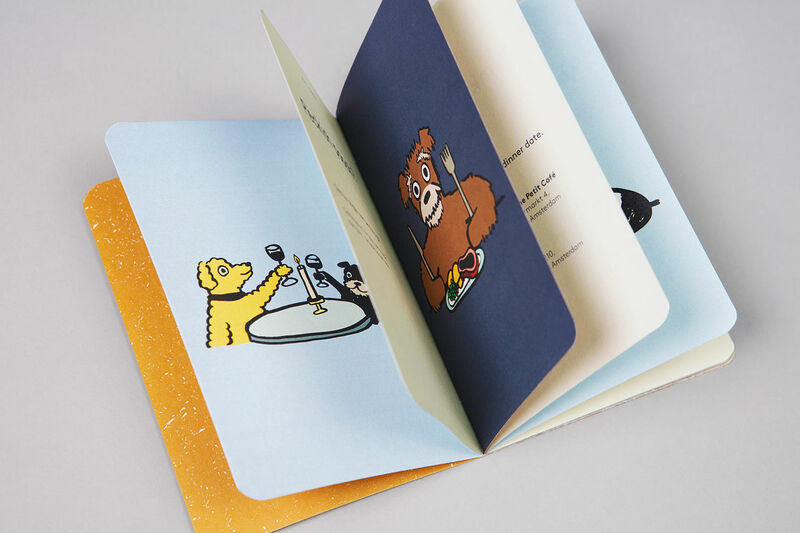 Complete with local dog walkers’ details, the best parks in the area, pet spas and vets etc, the book is the doggy equivalent of the hotels’ human-catered Hox Guide. 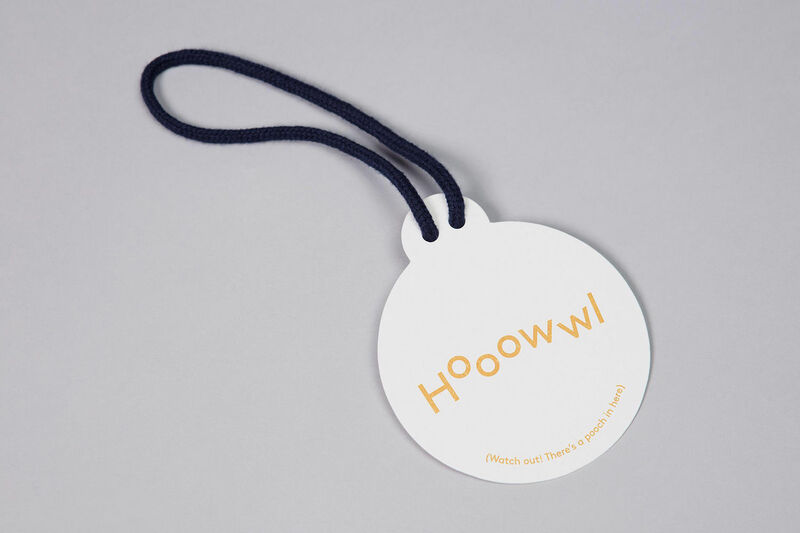 The manual is part of the promo package designed by Ennismore Design Studio for The Hoxton, which includes also a dog bowl and tag, along with a wagging tongue-in-cheek Hox Hounds website written in woofs and barks for dogs to read (below). Dogs may also appreciate the colour palette of yellows, blues and violets used throughout the campaign, right down to the text; these are the colours which pooches can visually register in what's one hell of a nice touch. 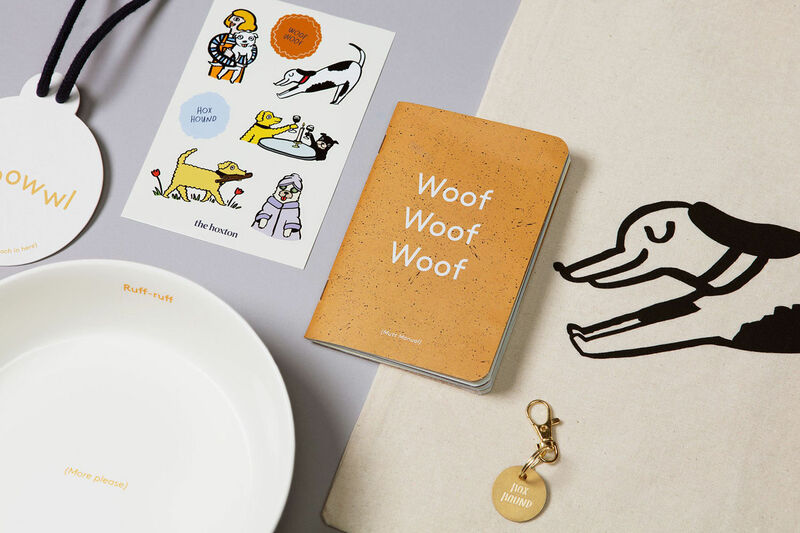 Furry guests will also be able to appreciate Alice's art as they get to have an illustrated dog bowl, sticker pack and even their very own Do Not Disturb sign (erm, best not to think about that one too much). 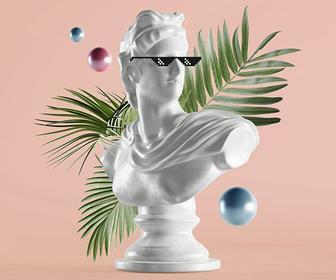 All in all, it's a hell of a tailored branding experience that goes the extra mile - good enough to make you want to be a dog, almost.